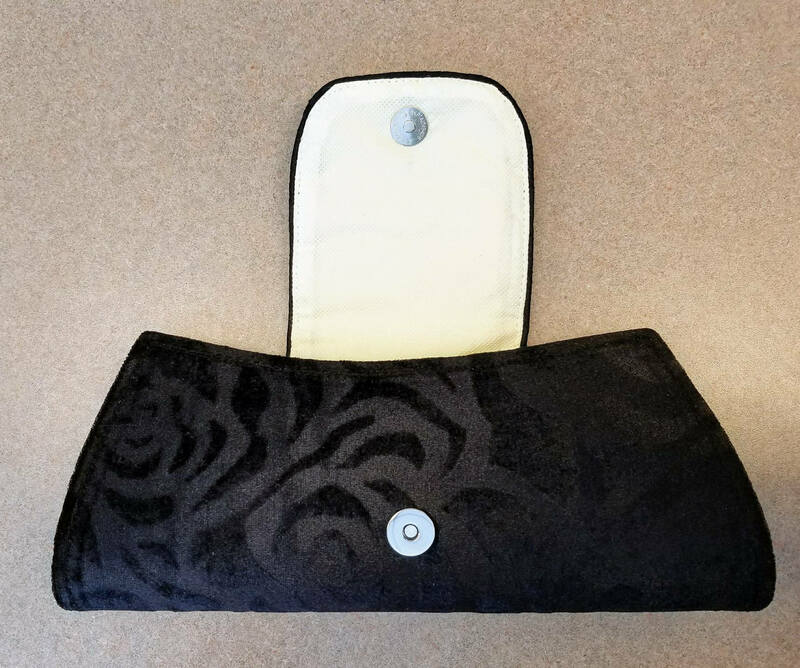 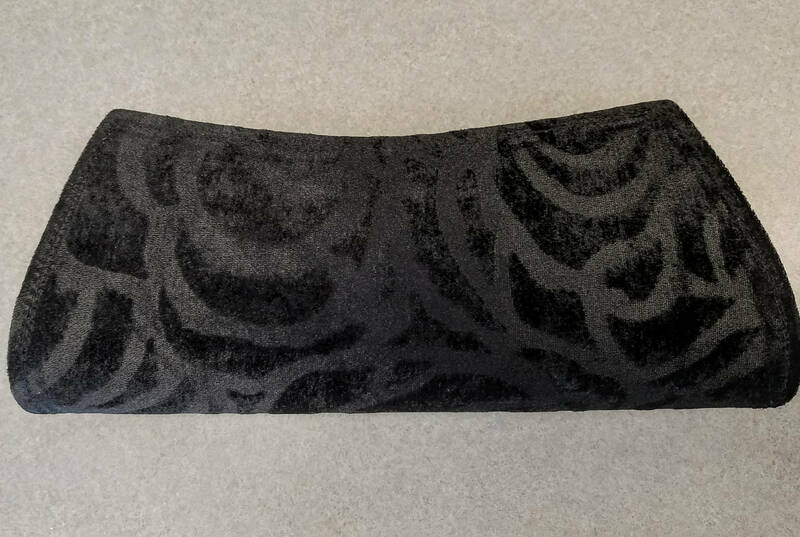 Elegant embroidered black velvet clutch, the velvet stamped into a rose pattern. 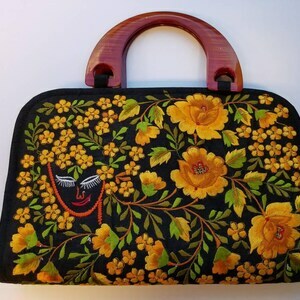 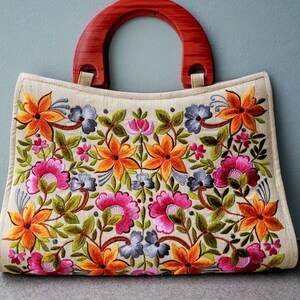 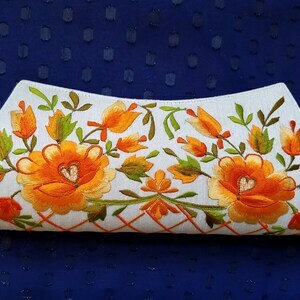 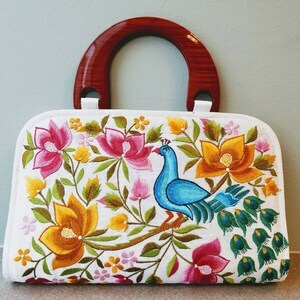 Anyone would love to receive this gorgeous bag. 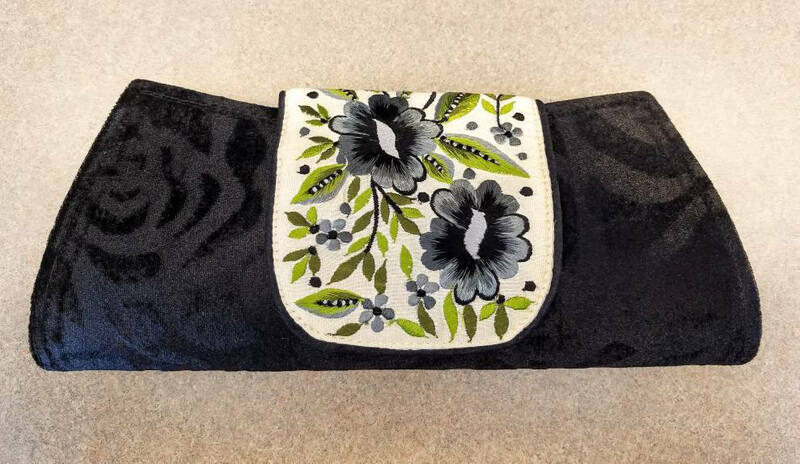 An elegant embroidery of black and grey flowers on a champagne colored flap. 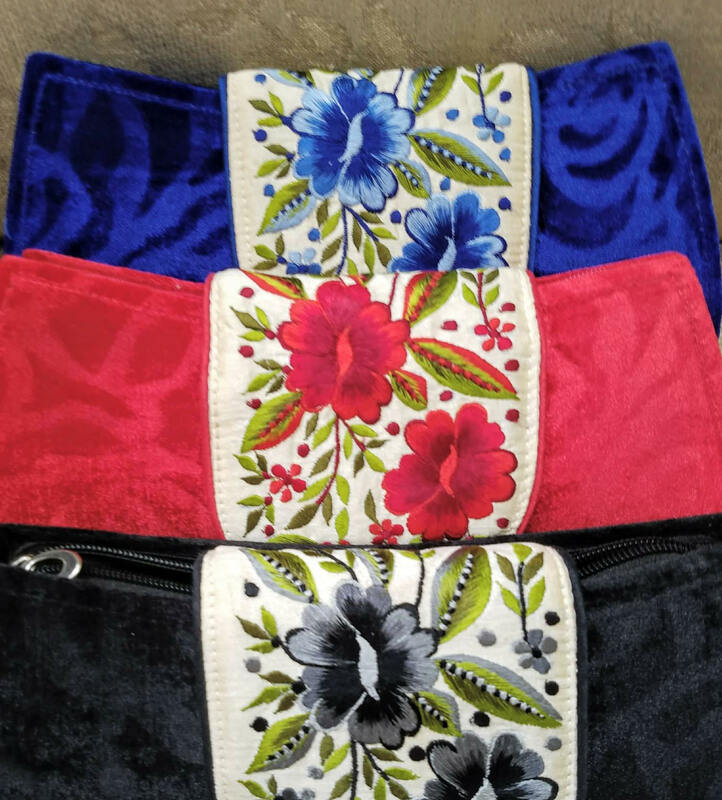 Soft fabric flap secures with a magnetic snap closure. 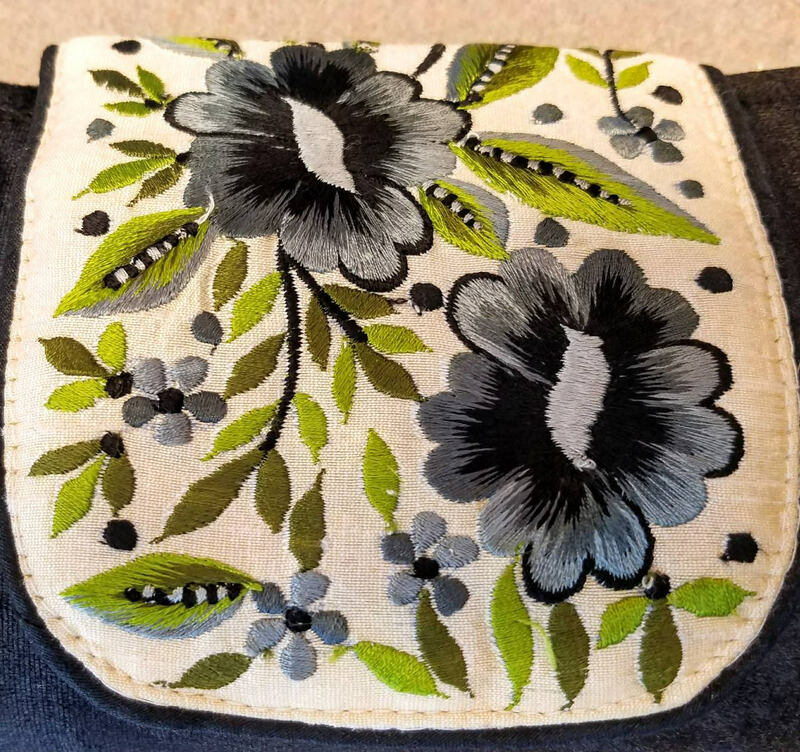 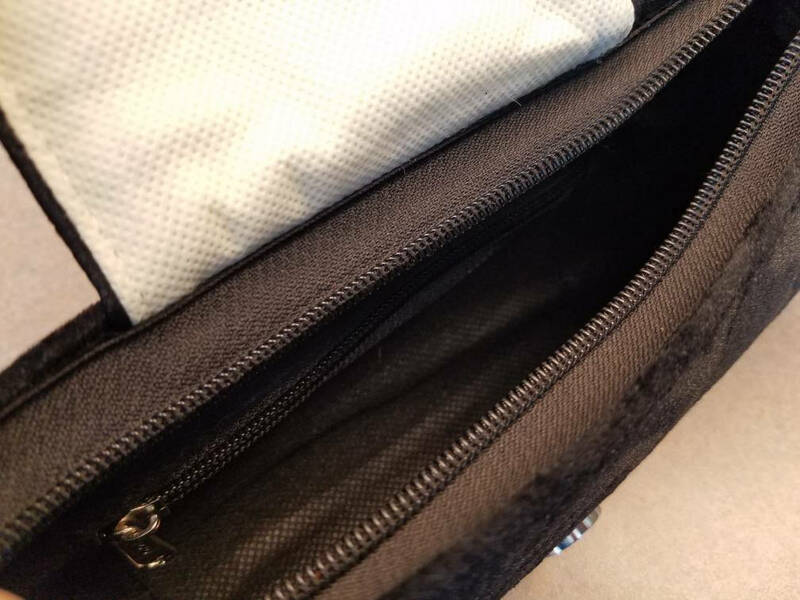 Fully lined in a lighter black fabric. 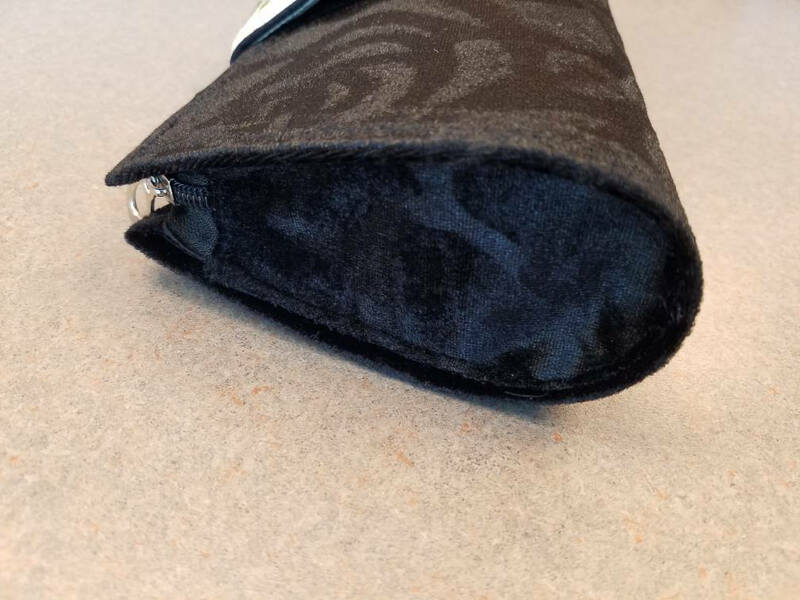 Zippered interior pocket measures 5 in by 3 in for your credit card, money and drivers license.